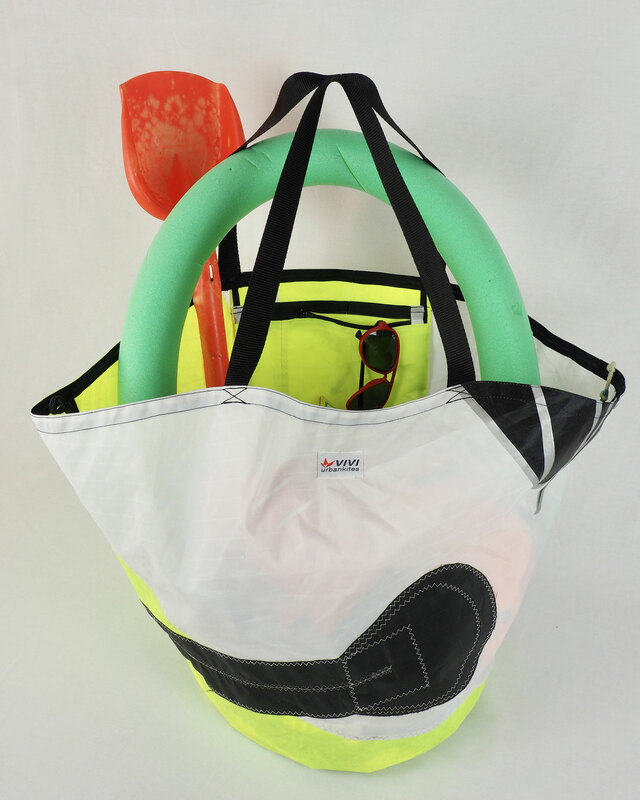 Ready to carry all you need from and to the Beach. 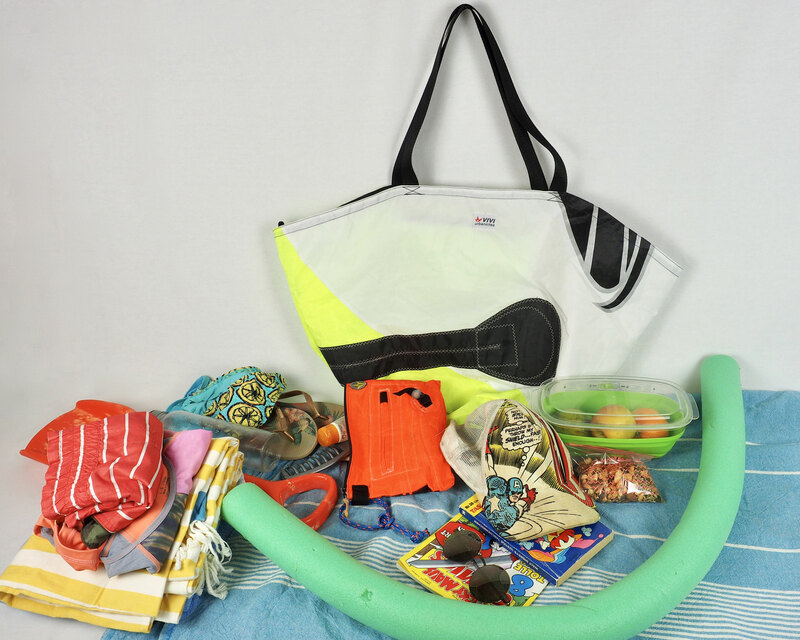 This XL-Version of the classic Shopper is perfect Beach Bag. 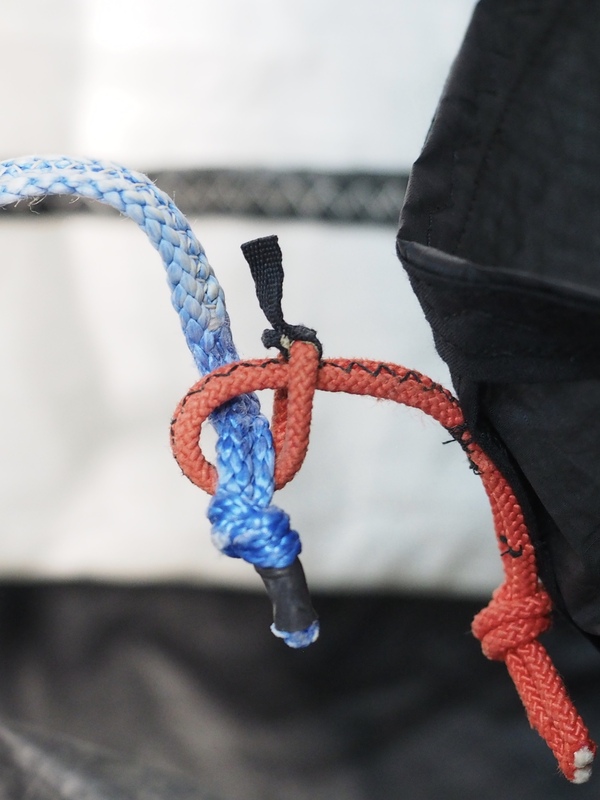 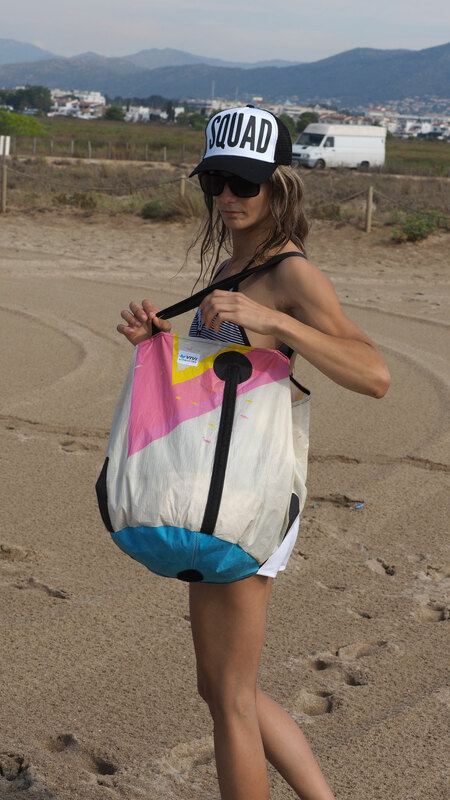 It is no only XL¡ You can change the shape of the bag by connecting the side on kite-loops together, adapting the size as you like from a open to closed shape, using this true kite gadget. 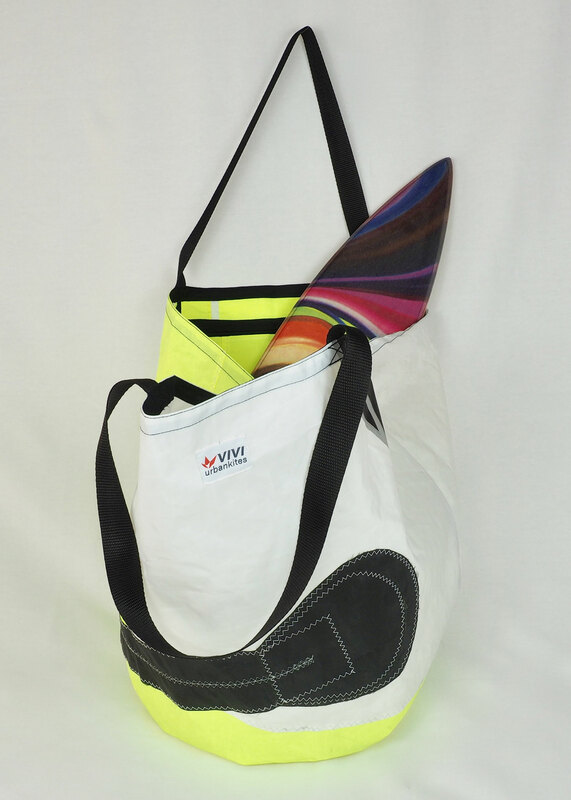 The XL-Beach Shopper provides a connected inside pocket with zipper, for handy items. 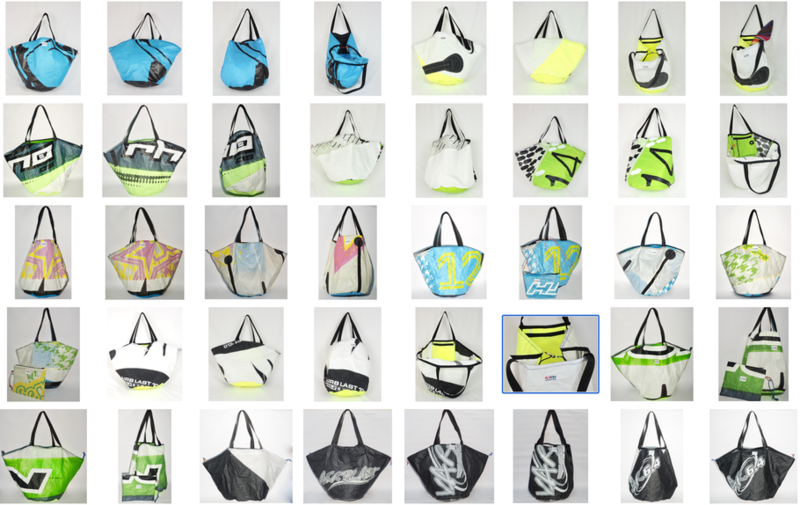 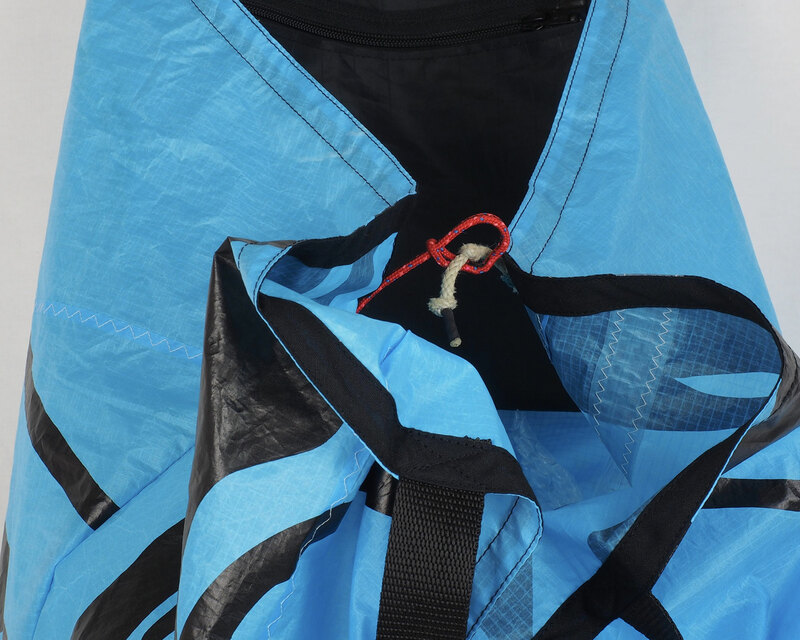 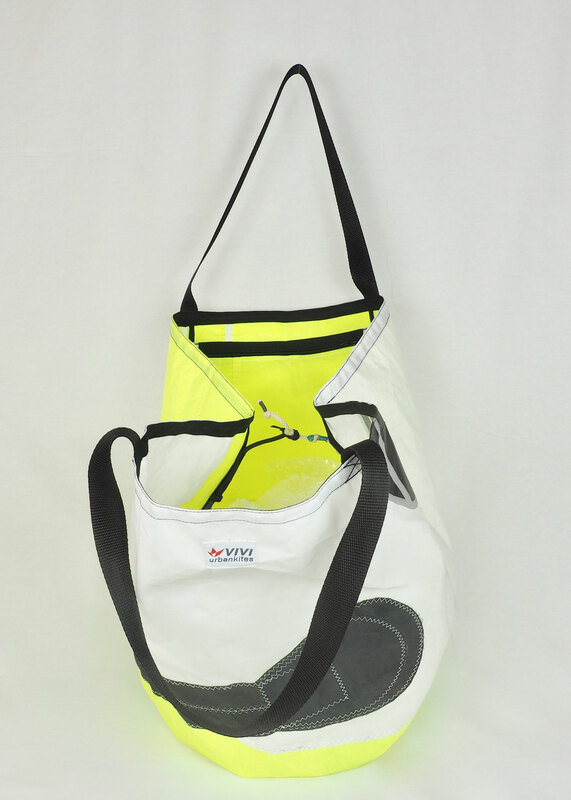 Remade of Rip Stop kite material, bottom and inside bag from Dacron material, original kite loops, YKK-zipper and nylon straps.